During a recent flight, I was chatting to the passenger next to me about work. When I told her I handled cases for people who have developed mesothelioma due to asbestos exposure, she told me about her research work on computer microchips involving carbon nanotubes, which I had to confess I had never heard of, but which she informed me are potentially capable of causing mesothelioma. She explained there were concerns about health risks to those exposed to the miniscule fibres in testing and research. She was not given any respiratory protection to wear. Their properties include a thermal conductivity higher than diamond, greater mechanical strength than steel – orders of magnitude by weight – and better electrical conductivity than copper. Because of their strength, multi-walled carbon nanotubes are already used in a staggering range of products from dental implants, to car parts, to sports equipment such as golf clubs, to conductive layers for touch screens. 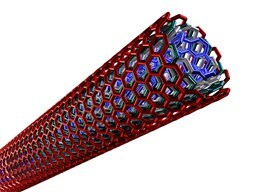 Worldwide commercial production of carbon nanotubes presently exceeds several 1000 tonnes a year. There have been a number of recent Japanese studies into the potential health risks posed by multi-wall carbon nanotubes (MWCNTs). The most recent is titled “Suzui, M, et al, “Multiwalled carbon nanotubes intratracheally instilled in the rat lung induce development of pleural malignant mesothelioma and lung tumors”, (April 21, 2016, Cancer Science, Epub ahead of print). Abstract available here. The study states that ‘multi-walled carbon nanotubes (MWCNT) have a fibrous structure and physical properties similar to asbestos’. MWCNTS have already been shown – in studies carried out back in 2008 and 2009 – to induce malignant mesothelioma of the peritoneum after they were injected into the scrotum or peritoneal cavity in rats and mice. The MWCNTs were administered by spraying the pulmonary tracts of rats with concentrations of MWCNTs. A total of 1 mg of MWCNTs per rat was administered during the initial 2-weeks of the experiment. The rats were then observed up to 109 weeks. 6 of the 38 rats who were administered MWCNTs in this way contracted mesothelioma, while 14 of the rats contracted some form of lung tumour (bronchiolo-alveolar adenomas and carcinomas). There have in fact been dozens of studies into the carcinogenic potential of MWCNTs over the last 15 years. Many inventors have hailed them as the miracle substance of our future: It seems they can be used to produce anything from more effective microchips, cheaper and higher definition screen displays, to powering carbon-neutral hydrogen cars and developing better solar cells. Whilst they have undoubtedly positive applications, what of the researchers and workers who have been and are being exposed to these fibres in their work? Are appropriate precautions being taken by employers? Remember when asbestos was hailed as a “miracle fibre”? What have we learned? Time will tell.